The Interior Design Show (IDS) began in 1999 as Canada’s premier showcase of new products, designers, and avant-garde concepts from North America and the international market. The IDS takes place every January for 3-4 days. Since 2006, the IwB and George Brown College (GBC) School of Design faculty, staff, and students have taken part in the IDS. 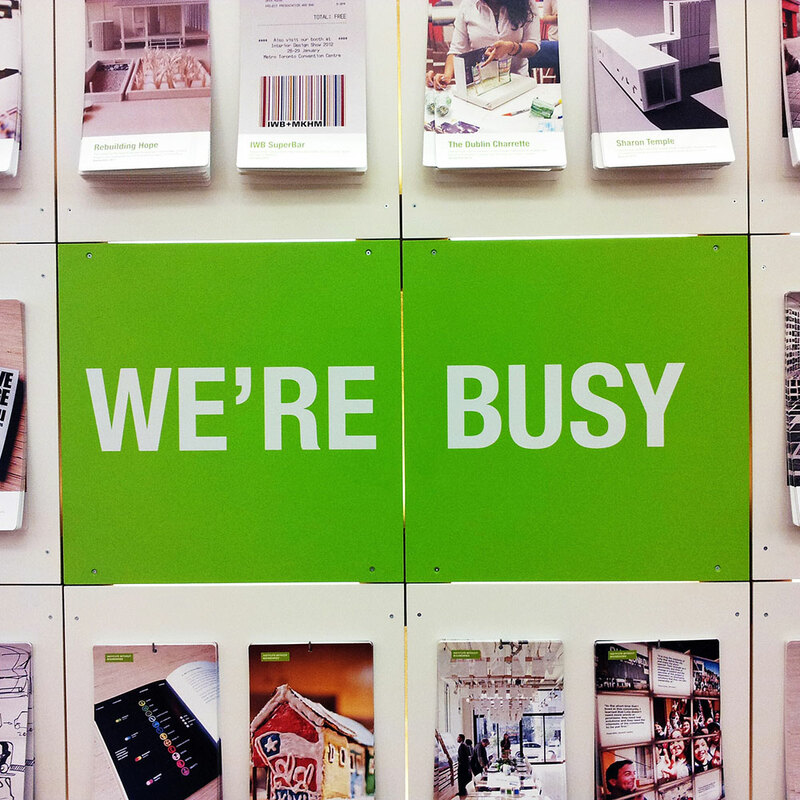 Along with student created IDS booths, the IwB and GBC School of Design faculty and staff have contributed special display booths at the IDS, displaying the Institute’s special projects and consulting work. The IwB and School of Design faculty, staff, and student exhibits have received distinction and honors for their design excellence and exhibition execution. Practicing design excellence in Canada’s premier showcase of innovative designers and avant-garde concepts. The IDS attendance has almost doubled since the show’s inception and it continues to be the premier space for the design sector. Participating in the IDS is a great experience for our staff, faculty, and students because it is an opportunity to showcase the Institute’s talent, projects, and methods. For our staff and faculty, it means showcasing innovative and cutting edge design projects and being able to receive feedback from the Toronto and international design community. For our students, it means developing exhibition creation skills and being exposed to the professional design market while synthesizing the research themes of the particular study year and sharing the knowledge learned with the public. Our IDS staff and faculty special display booths have received repeated distinction for their innovativeness and sustainable components. Below are summaries of some of our best IDS staff and faculty IDS special display booths. The Eco Bar and Garden Shelter was a 120” W x 120” L x 120”H, life-sized, modular prototype. It was developed by the Institute to showcase ‘Systemateks,’ a concept created by Luigi Ferrara that focuses on creating systems that allow people to personalize and co-create their environments. Systemateks emphasizes play, interaction, and scalable and interactive systems that can be combined in different ways to adapt a structure. The Eco Bar was configured by an open lattice system that was intended for the backyard of a home. The system was made of several modular elements that could be customized according to user needs. 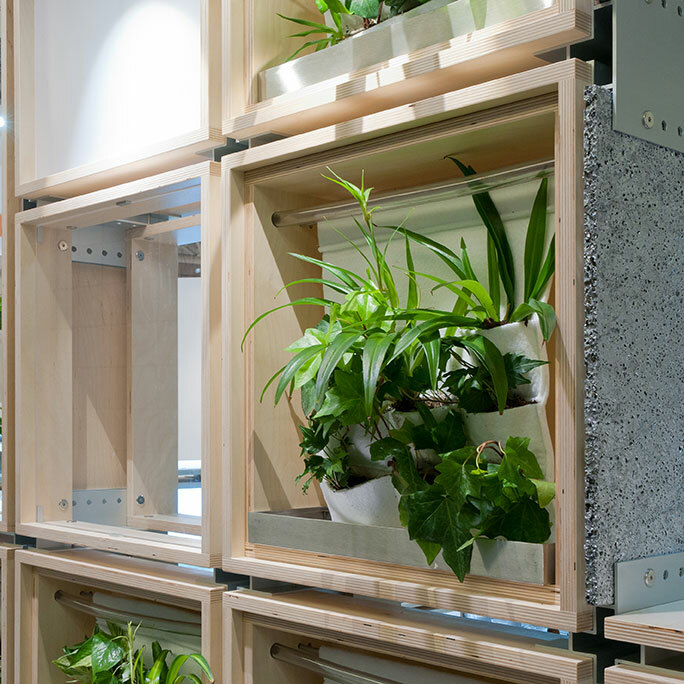 Among them were modular shelving, cabinets, transparent panels, and planters. The IwB collaborated with the IDS organizers to install the structure and use it as a bar at the 2012 IDS. The Eco Bar was displayed at the same time as the IwB 2012 student booth that featured the Institute’s work on the City of Markham. Later in 2012, it was also displayed and used as a welcome hut for the MOVE Expo. 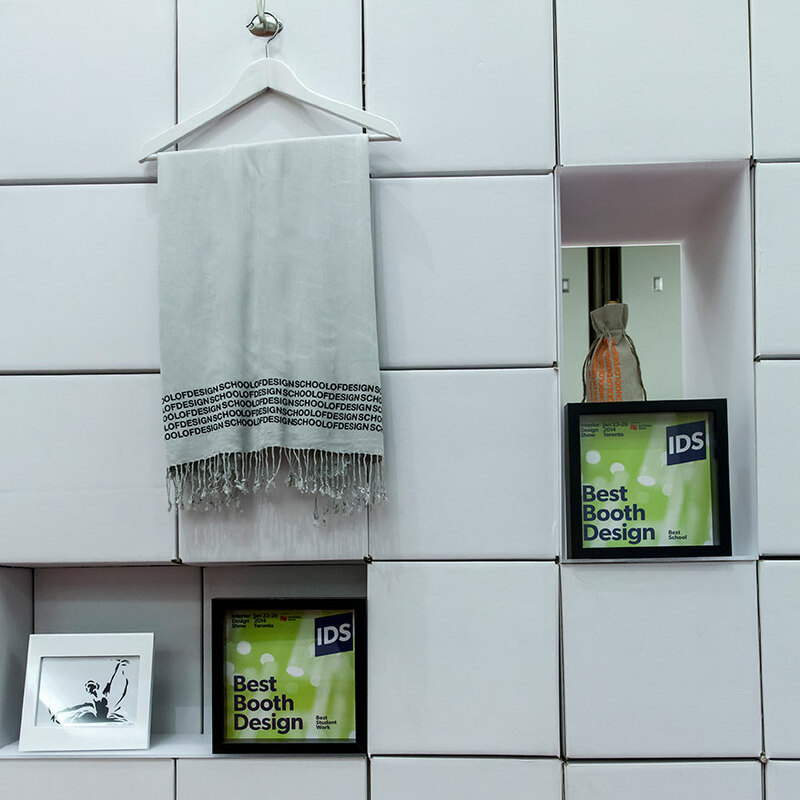 At IDS 2014, the School of Design and IwB showcased the launch of a retail venture called SOD Collections (School of Design Collections) – a studio space for students and alumni to collaborate, experiment, prototype, and expand their design work. This venture will provide opportunities for students to create custom product lines, work with clients, and discover new commercially viable ways to apply their creative skills. The booth featured student made industrial design products, scheduled to be the first SOD Collections product line. The framework given to students for this line was to create colourful and bold designs that would fit with the Umbra brand; Umbra is a continuing partner of the School of Design. Working with Umbra, gives the School of Design students opportunities to showcase their work in the commercial realm and gain professional experience. The 2014 booth won the Best Student Exhibit Rado DesignGenNext Award and was recognized as Best Booth in the Creative Class category at IDS. Stay tune for the launch of the SOD Collections in September 2014!